LAHORE: A 16-foot-long python was rescued by Rescue 1122 officials from Khanpur Canal in Punjab’s Sheikhupura district on Monday. The reptile was spotted in the canal with injuries on his head and upper jaw. Officials managed to rescue the serpent in a joint operation by Rescue 1122 and the provincial wildlife department. 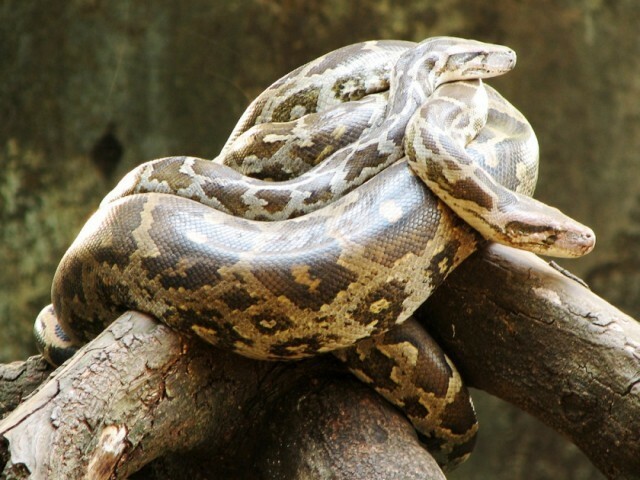 The python was then taken to Lahore Zoo in order to be rehabilitated. “Never before has a python of this size been brought to the zoo,” said Lahore Zoo Deputy Director Tanveer Janjua. He added that doctors are hopeful the creature will make a full recovery soon. The Pythonidae, commonly known as pythons, are a family of nonvenomous snakes found in Africa, Asia and Australia. Among its members are some of the largest snakes in the world. In Asia, they are found in Bangladesh, Nepal, India, Pakistan, and Sri Lanka. In recent months, more than 30 people have been attacked by snakes across the district.